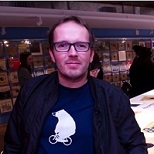 Dr Kevin Milburn is a Senior Lecturer in Human Geography at London South Bank University. Previously he taught at the University of Nottingham (2012-3), the University of Hull (2013-2015) and King’s College London (2015-7). His PhD, ‘Songs of the City: Geographies of Metropolitanism and Mobility in the Music of Frank Sinatra and The Blue Nile’, was undertaken at the University of Nottingham. Prior to this, he gained an MLitt from Strathclyde University, Glasgow and an MA from Birkbeck, University of London; at the latter he completed research on ‘Exotica, Self-Reflexive Orientalism and Hybridity: a Case-Study of Yellow Magic Orchestra’. His teaching and research, which is focused on Britain, North America and Japan, interrogates relationships between identity and landscape. It critiques the representation of such relationships in music, film and painting and examines the ways in which place, memory and belonging are shaped by – and, in turn shape – different forms of creative practice. Kevin's main areas of teaching include: human geography, mobilities, cities and spatial representations, tourism, mega events and cultural geography. He contributes to the following Undergraduate courses' modules: BA (Hons) Human Geography, BA (Hons) Urban and Environmental Planning, BA (Hons) Tourism and Hospitality and BA (Hons) Events and Entertainment. Kevin is a cultural and historical geographer with a particular interest in music geography. His PhD thesis, ‘Songs of the City: Geographies of Metropolitanism and Mobility in the Music of Frank Sinatra and The Blue Nile’ examined how Frank Sinatra and The Blue Nile spoke to debates on urbanism, creativity and representation. It also interrogated how musical performance and artefacts address modes of identity at a variety of scales: the local, the national and the trans-national. In addition, the PhD investigated the role these artists played in constructing and circulating a particular urban, male authored ethos in 1950s New York and 1980s Glasgow, and examined cultural links between these two cities. A lengthy article relating to aspects of this work, ‘Rethinking music geography through the mainstream: a geographical analysis of Frank Sinatra, music and travel’, was published in the journal Social & Cultural Geography in 2017. Kevin’s writing focuses on cultures of creative practice and how they inform notions of place, landscape and belonging in a variety of settings. His specialism in music geography led him to devise and lead a well-received field trip at the 2015 International Conference of Historical Geographers: ‘A musical tour of Soho, London’s historic entertainment district’. More recently, he has developed a keen interest in geographical concerns surrounding early twentieth century Canadian painting and has delivered conference papers on topics relating to this in London, Montreal and Grenoble. In addition to his teaching roles, Kevin has been a Research Fellow at the Department of Geography, University of Exeter, where he supported Dr Nicola Thomas on two AHRC public engagement projects: ‘Digital Biography: designing architecture to explore lives’ and ‘Crafting Public Engagement: 80 years of the Gloucestershire Guild of Craftsmen’, and a Research Assistant at the Royal Geographical Society with the Institute of British Geographers. Milburn, K Gig Going on London’s Periphery: Charting the Mainstream in the Margins. Live Music Exchange. Milburn, K Futurism and Musical Meaning in Synthesized Landscapes. Kaleidoscope, 5. 109-116. Milburn, K Following the Flâneur: a Methodological and Textual Critique. In: Writing Cities, 9 June 2009, Nottingham.